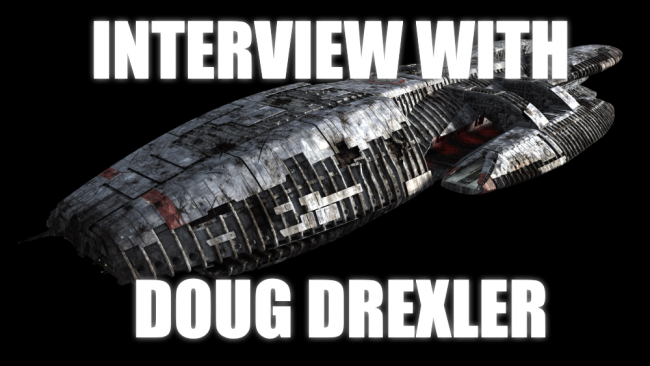 After that we tune into the Feedback Loop and let you join in on the conversation, and then, if you’re still with us, we bring you our interview with Doug Drexler, Visual Effects Artist of some relatively unknown productions such as the Star Trek franchise, the Star Trek movies and Battlestar Galactica. If you need to look those up, here’s a handy link for you. SC CQ: What do you think of the Javelin? Did that avatar in fact have the Mark Hamill-based facial features? ED CQ: So what do you think is the reason for all of the bugs? Are you enjoying the new features that DO work? There is another big difference between the old and new battlestar galactica’s. In the old one the Cylons were the remnants of an alien civilization, not human designed robots.